Construction worker Jason Haney is a foreman at a construction site just across from Memorial Children’s Hospital in South Bend, Indiana where he is working on an expansion. 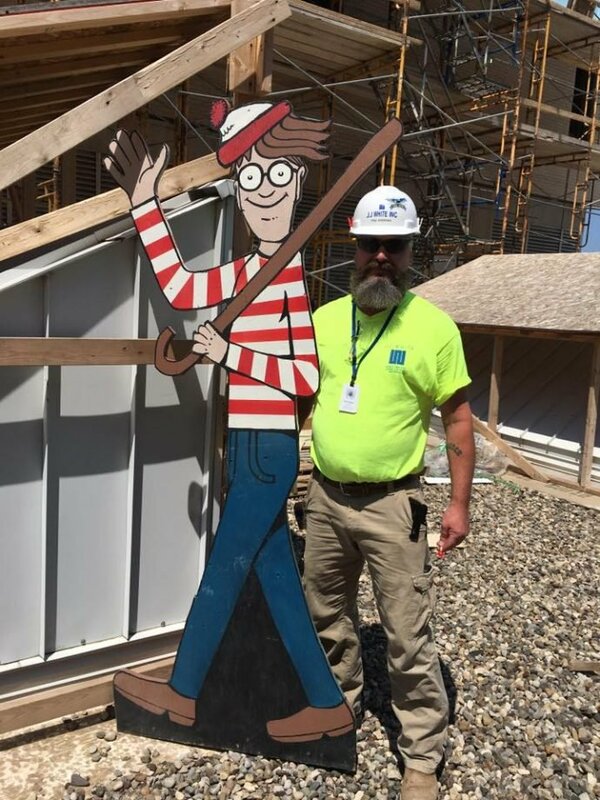 Knowing the children were in need of entertainment and something to look forward to, he created an 8-foot tall Waldo to hide on the construction site somewhere new each day. The children were challenged to a life-sized game of Where’s Waldo every morning. The project has been so successful that his pint-sized participants have created a Facebook page where they photograph themselves looking for and finding Waldo. When everyone has found him, Haney moves him to a new top secret location and the whole thing starts all over again. Haney was inspired to create his life-sized Waldo due to the fact that his own daughter spent several weeks in the hospital after suffering from a rare stroke at age 3. Because of the uniqueness of her case, she had to be sent to a hospital over 2.5 hours away from her parents, meaning Haney sometimes spent the night and sometimes had to leave her there alone. This kind of activity helps the kids both have something to look forward to and pass the time. Becky Garza, the mother of one of the patients, has said that the life-sized Waldo search has immensely helped her daughter.